This is a long awaited post. 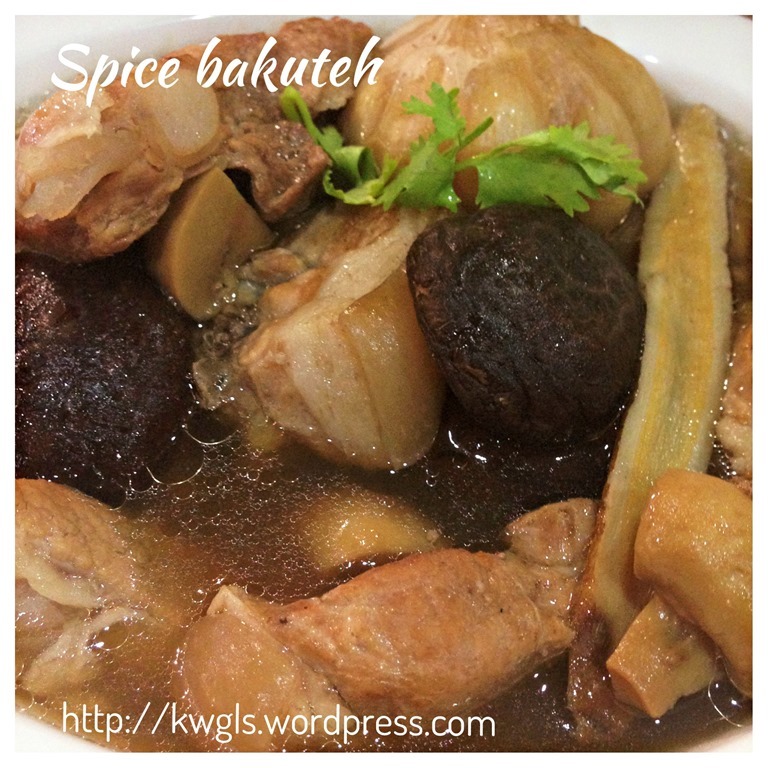 I have prepared this dish at least 1-2 months ago. 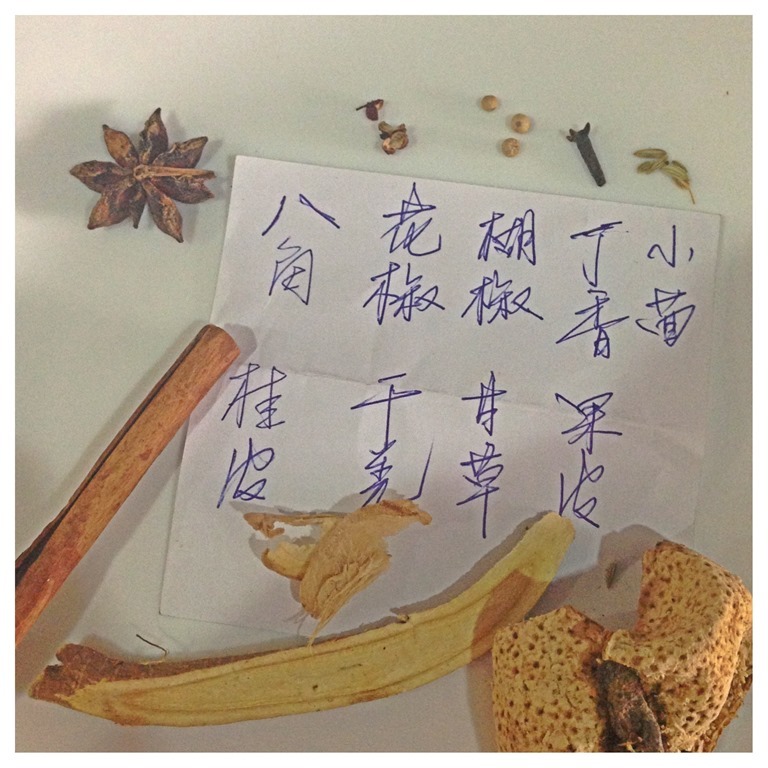 One day during marketing, I walked into a nearby Chinese herb shop. 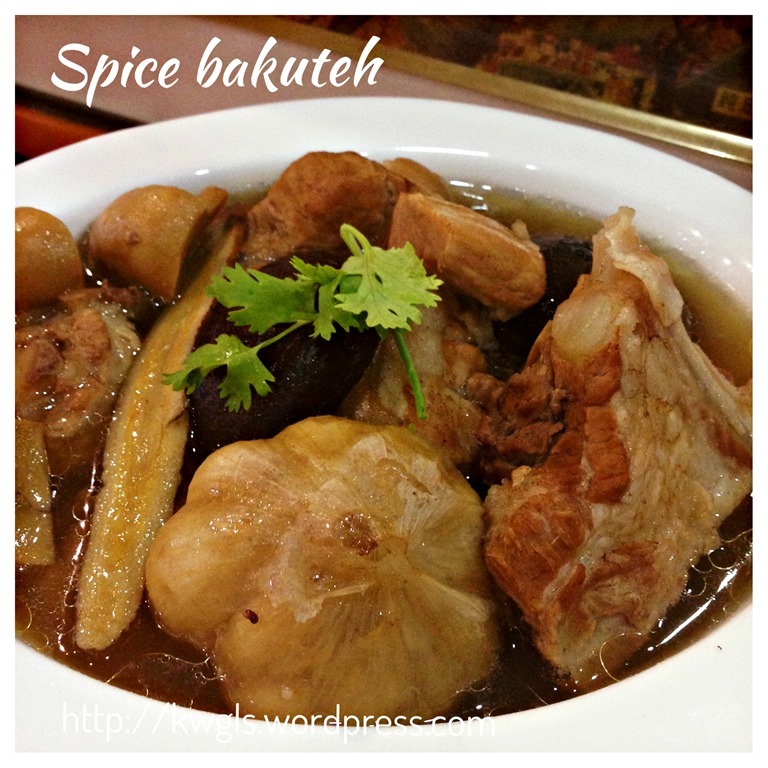 I asked them, without any positive answer from the shop owner, if he was selling any herbs for the famous Bakuteh or pork rib tea (肉骨茶）。 The next question he asked me was whether we are consuming it for “fun” or for its medicinal value …. Hmmm, as I am unsure about the medical condition of all the members in the family. I told him that it is for fun and I asked him what were the differences. 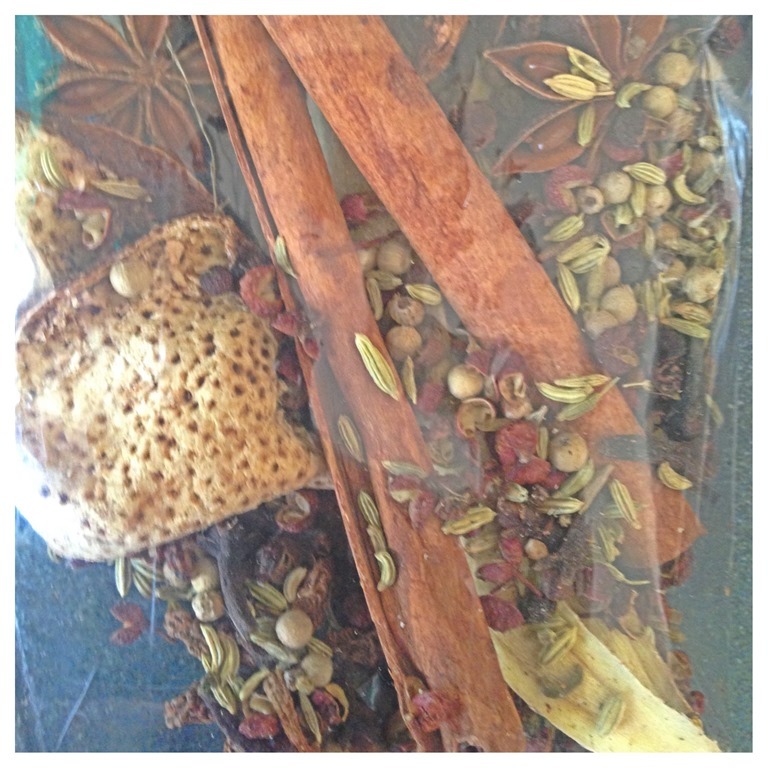 He said, if it is consumed casually, it will be mostly spice based…. I asked for a small pack from him and he started to open his drawers, taking bit of this and bit of that…. 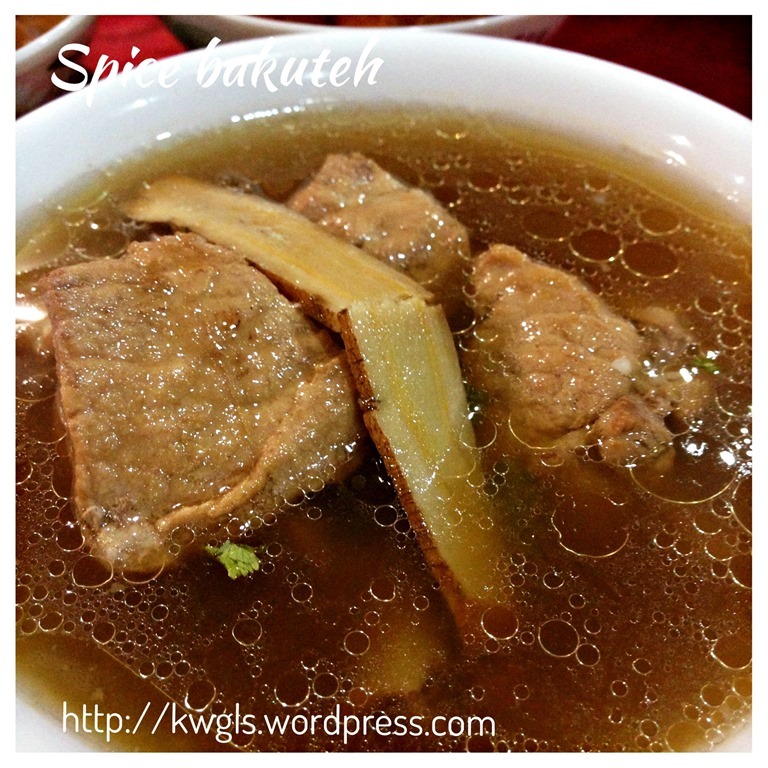 And I am more than happy when he told me it cost SGD 1.oo and adequate to cook for a meal of 4-5 adults with about 1 kg of pork ribs.. 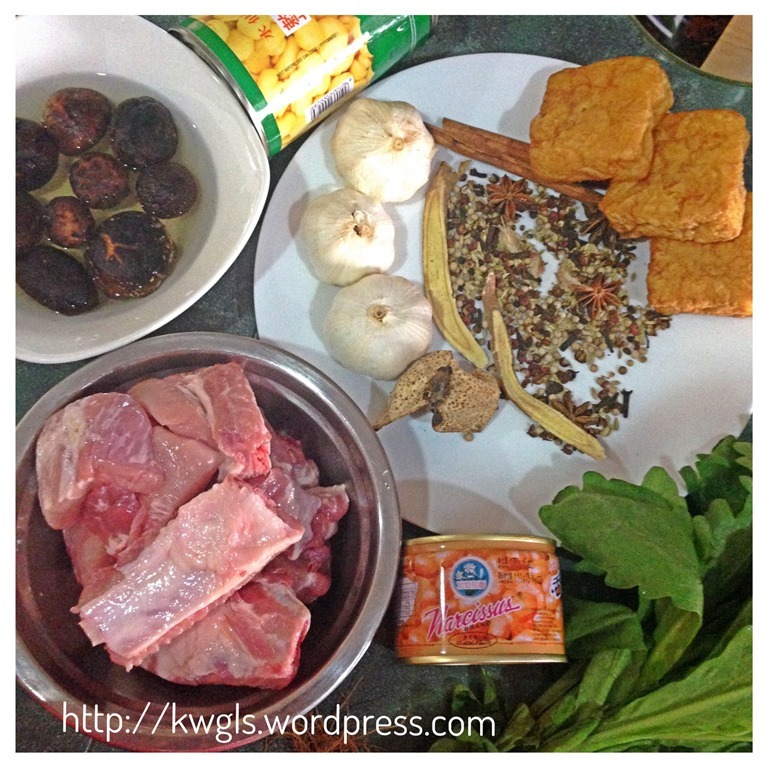 I reverted back to the wet market and bought the pork ribs. I cooked and I am extremely pleased with the flavour of the spice mix. Back home before I cooked, I analysed the spice mix.. It is just simple, normal spice commonly found in the kitchen, But it became a wonderful combination when putting all together and blends well with the meat broth… However, for the quantities, I do have a difficulty to quantify for you, in the ingredients section, you can have a look the detail picture of each of the 9 spices. It will be an estimated quantity and the taste will not be far my illustration.. 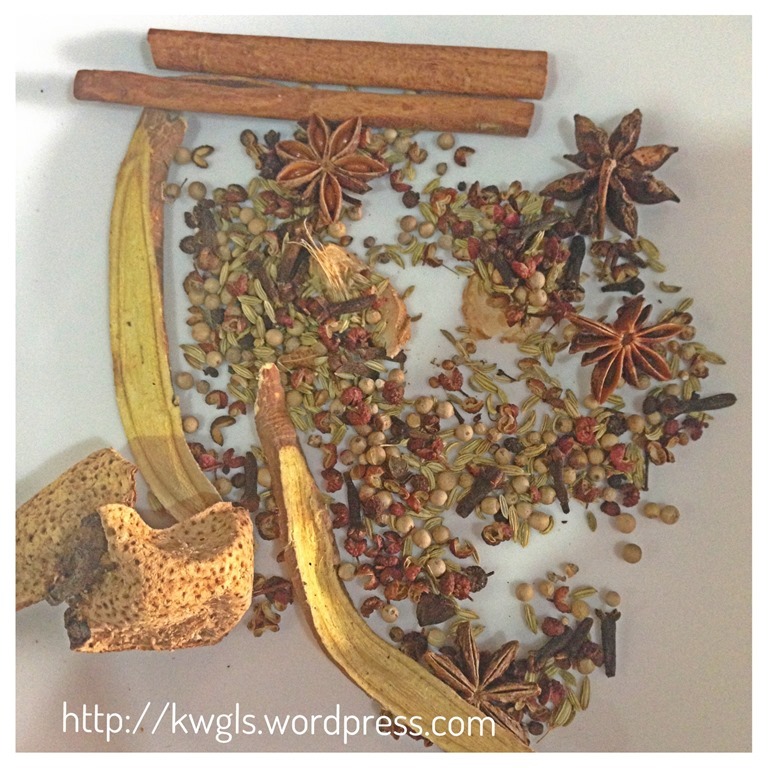 Possibly you can show the medical hall the picture and asked them to mix for you… Hmmm, it shouldn’t be an expensive buy because the common spice are not costly and quantity are very small. 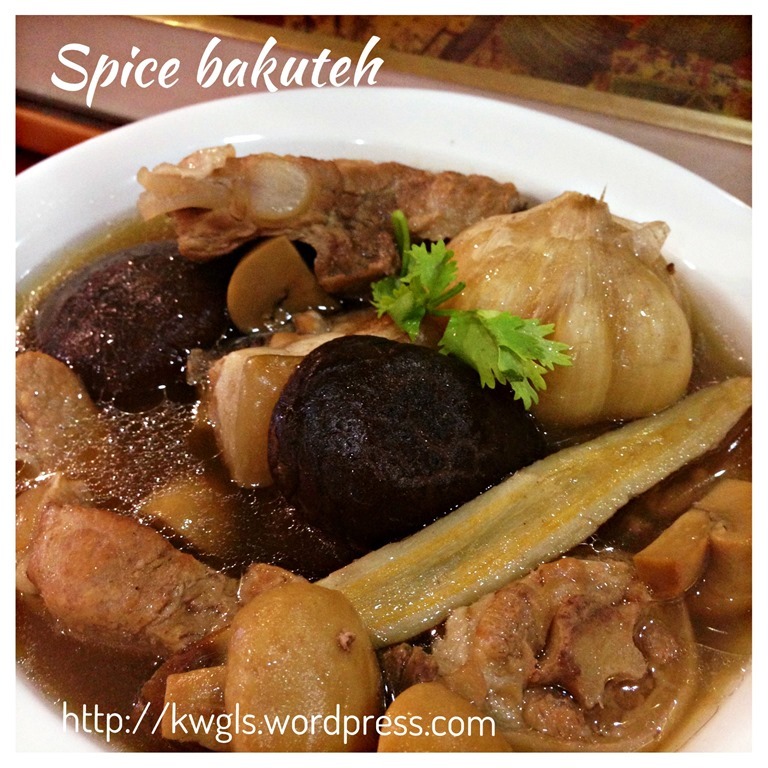 One advantage of this post is that with this recipe, you can easily prepare Bakuteh in your country of residence if you can’t get hold of ready made Bakuteh. 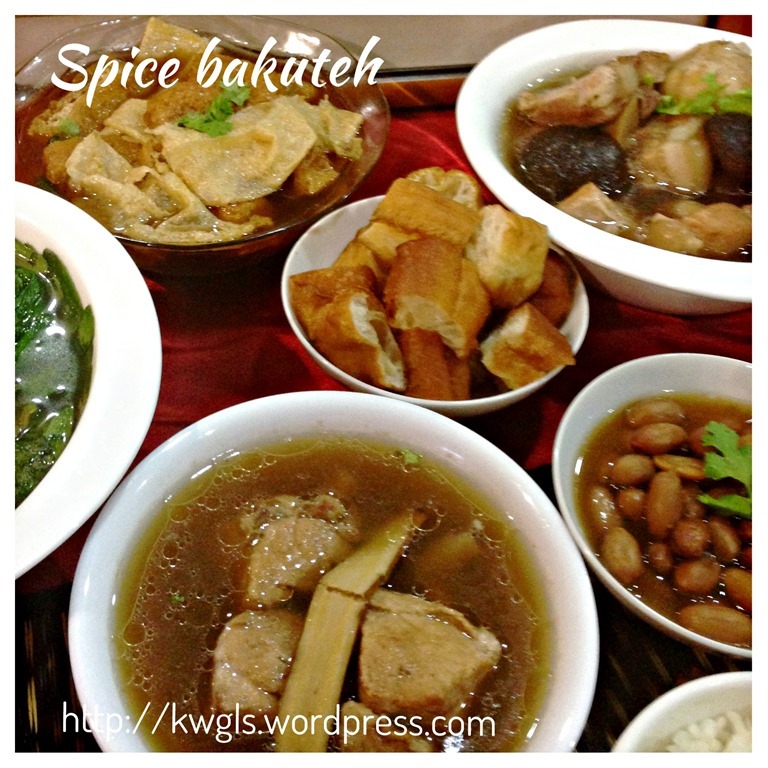 It is rather safe for consumption as there were no Chinese herbs such as Danggui, ginseng and etc. 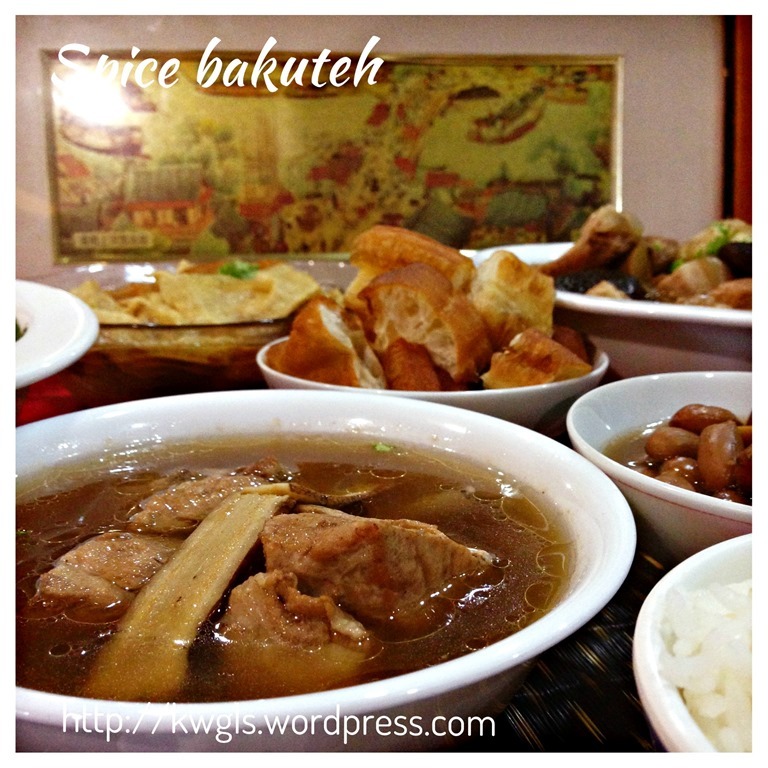 “Bak-kut-teh (also spelt bah-kut-teh; Chinese: 肉骨茶; Pe̍h-ōe-jī: bah-kut-tê) is a Chinese soup popularly served in Malaysia,Singapore,(where there is a predominant Hoklo and Teochew community) and also, neighbouring areas like Riau Islands and Southern Thailand. Only estimated quantities will be stated here. 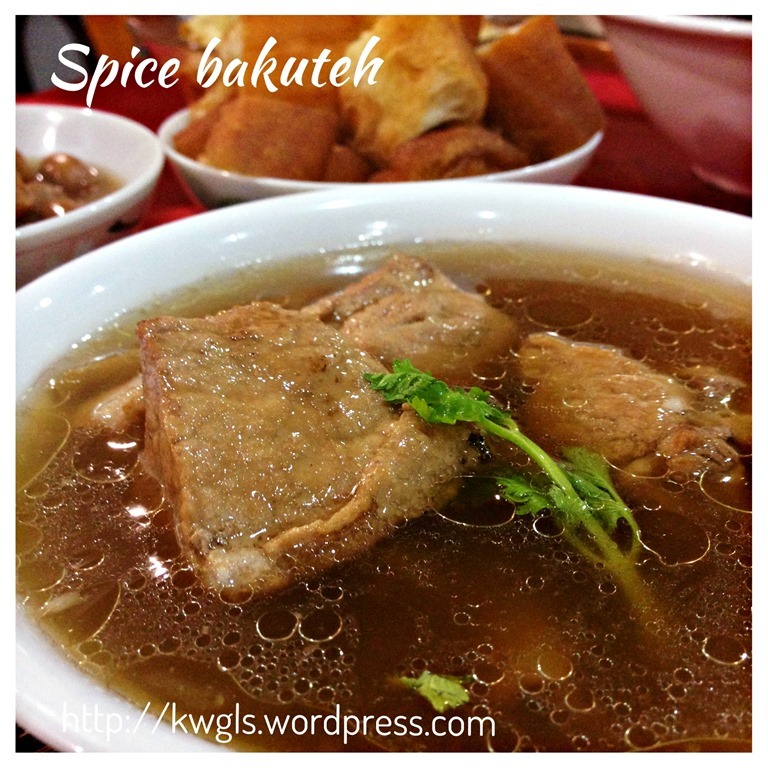 It was all a small pinch/teaspoon of spices as stated in the picture. Put all the spices in a soup bag and set aside for later use. 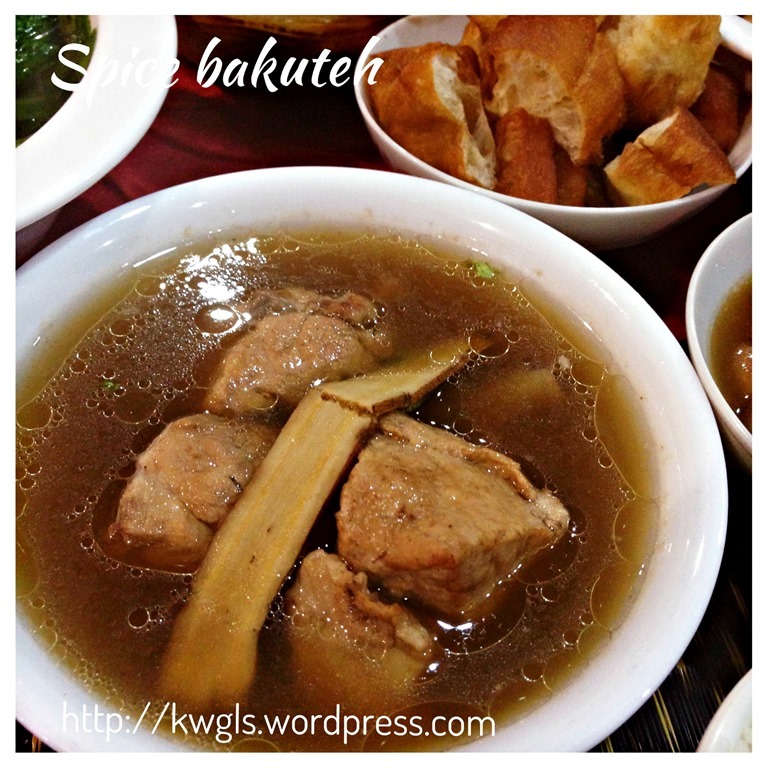 For making tofu puff, dish out the pork ribs, put in tofu puff and cook for about 10 minutes until it is soft. 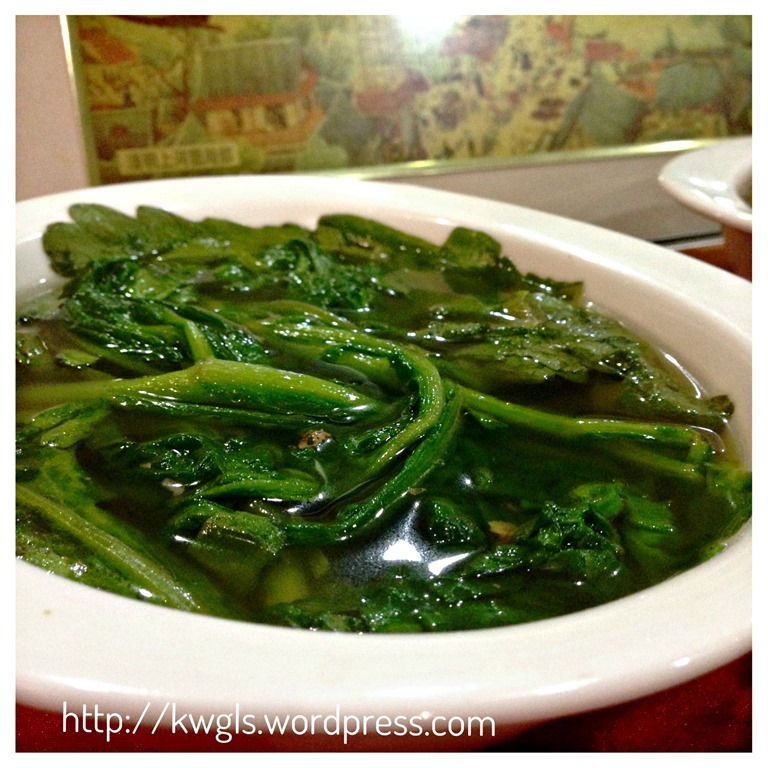 As for the vegetables, clean the vegetables, put on the serving bowls, pour in the vegetable dish is ready. 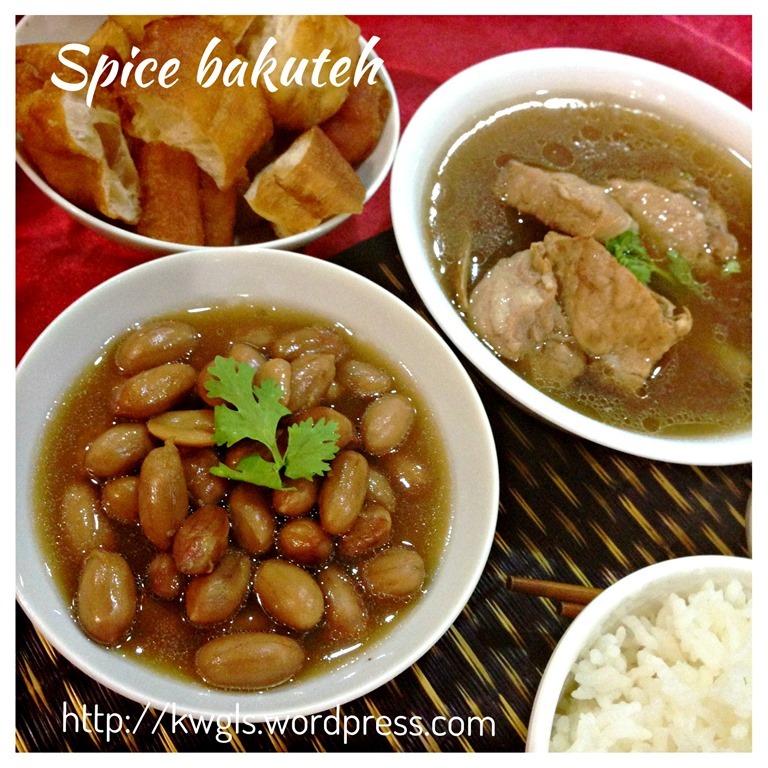 I am rather surprised that these simple, cheap spices yield a bowl of awesome bakuteh soup. Of course, do not compare with the ready made spice pack, even every brand have their different trade secret spices packed and sell to you. Therefore, it is almost impossible to get the exact taste you are familiar..
May be you want give it a try and see if it suits your taste buds. 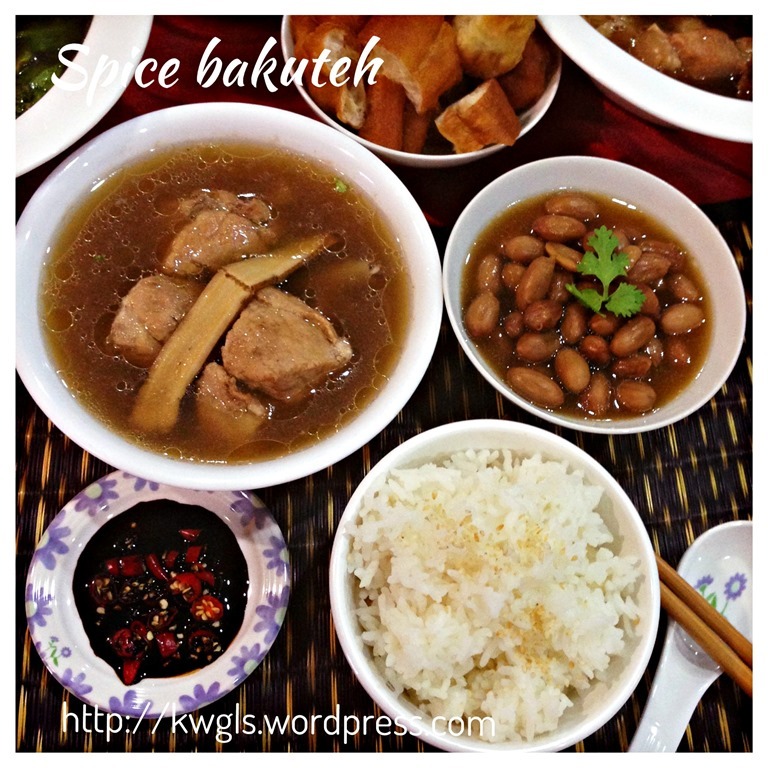 This entry was posted in Food Preparation Series, Meat Dishes, Soup and tagged 8, Bak Kut Teh, Bakuteh, 肉骨茶, GUAI SHU SHU, Guaishushu, kenneth goh, Malaysian bakuteh, postaday, Singapore bakuteh, Spice Bak Kut Teh. Bookmark the permalink. Thank you for this recipe! 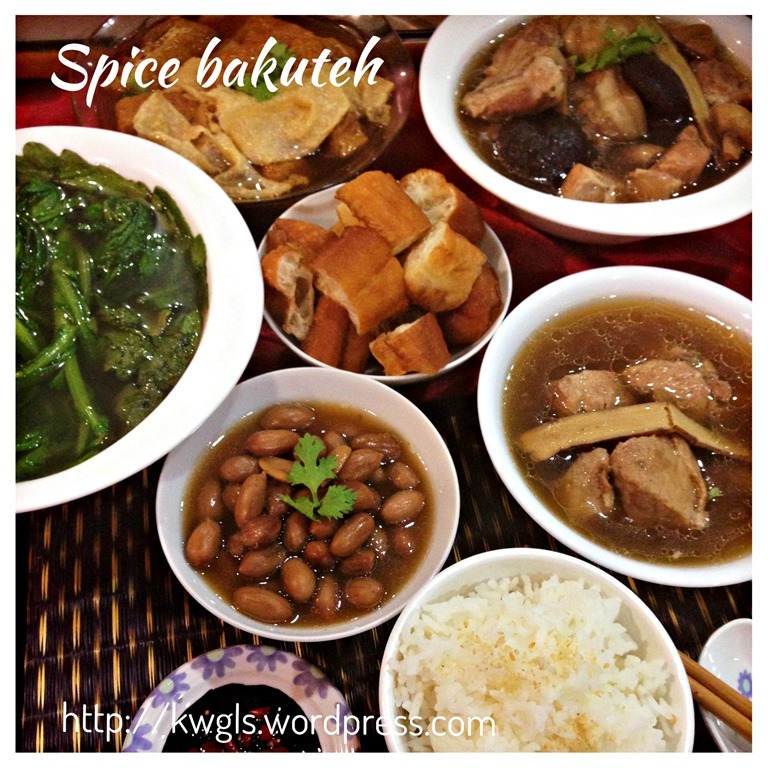 I LOVE bakut teh and have tried different recipes but as you said some of the Chinese spices are hard to get here outside Asia -especially in Las Vegas where I am at. 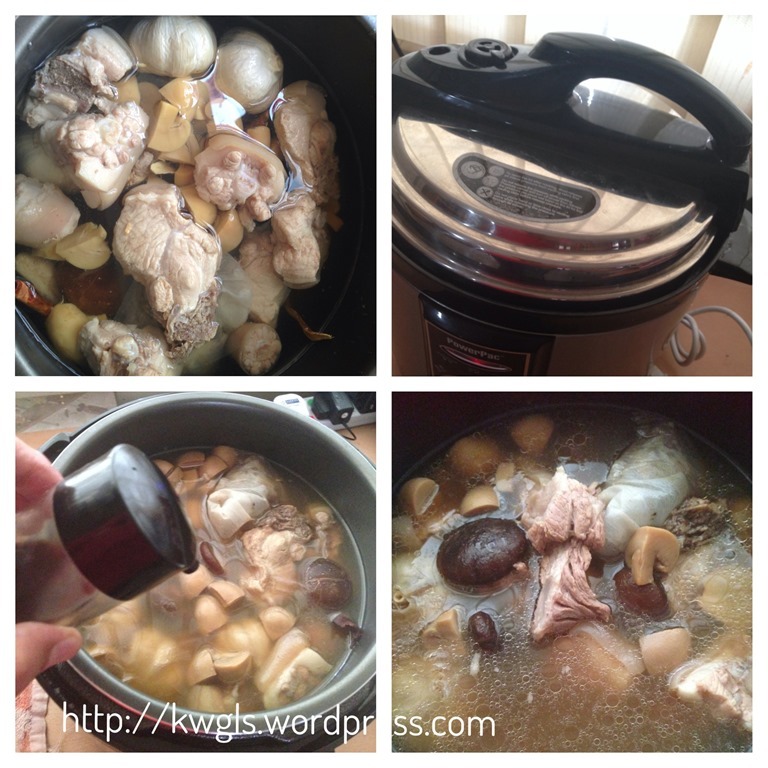 I am definitely going to give your recipe a try and love your website for it’s easy recipes. Keep up the good work! Do we have to cook for 2hrs? I tried this but soup taste not strong enough. Shd I increase the herb? Yes. feel free to increase in the next attempt. 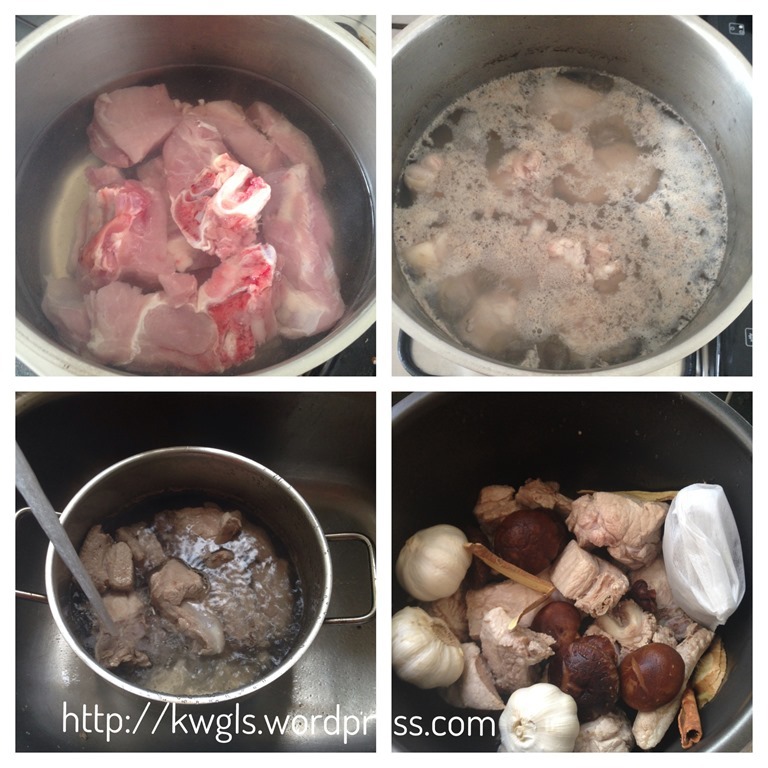 One -two hours is an estimate and also depend whether you want your meat to be tender or hard.